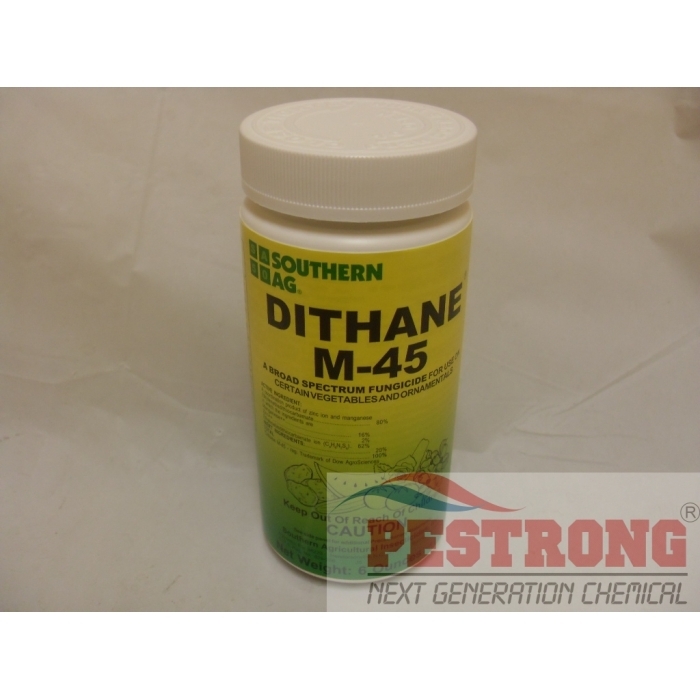 Where to Buy Dithane M45, Dithane M-45 Mancozeb 80% Fungicide - 6 oz - 2 Lb - $12.12 for Sale with Fast Free Shipping! Dithane M-45 Mancozeb 80% Fungicide - 6 oz - 2 Lb for use on roses and other ornamentals and vegetables. The Active ingredient is a coordination product of zinc ion and manganese ethylenedithiocarbamate, 80% in which the ingredients are Manganese 16% and Zinc 2%. USE ON: Many vegetables ornamentals, fruits like Potatoes, Corns, Squash, Cucumbers, Melons and Papaya etc. CONTROLS: Leafspots, Rust, Botrytis, Anthracnose, Early and Late Blights and Downy Mildew. RATE: Foliar Spray: 1.5 tbs(Tablespoons)(0.375 oz) per gallon. APPLICATION: Mix with water, Apply as thorough cover spray. This product was recommended to treat a leaf fungus problem with a legustrum tree that I have. I've treated the tree twice so far with about 10 days between treatments. Easy to use with powerful fungicide.